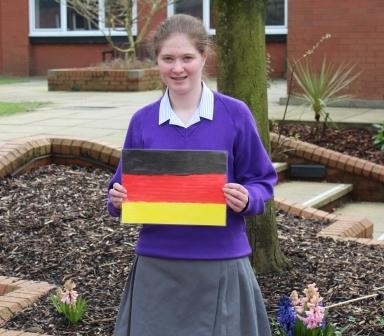 Annie – Rose Pickup from Year 10 has been selected by the UK German Connection to take part in a language and culture course in the first two weeks of the summer holidays. To enter Annie – Rose submitted a piece of her German class work. This fantastic opportunity will enable her to get first-hand experience of German life and culture whilst living with a local family and improve her language skills at the same time.